10 guests in day charter, 4 in cruise. Hallowe’en is a coded vessel (SCV2) with all necessary safety requirements updated and certified annually. On board cuisine catering to personal tastes with an emphasis on fresh Mediterranean produce. Mediterranean Racing circuit covering French Riviera, Italy, Sardinia, Corsica, Barcelona, Majorca, Mahon, Monaco. Zodiac tender with 20hp 4 stroke engine. Hallowe’en is a classic sailing yacht designed and built by William Fife: she is now available for classic regattas (Trophée Panerai, Régates Royales de Cannes, les Voiles de Saint Tropez) and day charter with up to 12 people. With her uncluttered deck and timeless mahogany interior furnishing, SY Hallowe’en combines outstanding performance – up to 11 knots under sails – with gracious living. Charter the ex Norwegian Royal Yacht and enjoy a unique sailing experience. Hallowe’en is available for charter and special event hire throughout the year. 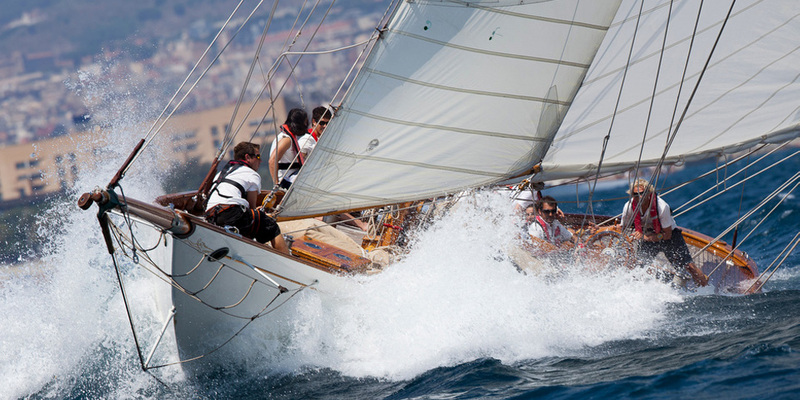 She races competitively in the Mediterranean classic regatta circuit which stretches from France to Corsica, Spain and Italy. Please contact us for charter rates.